How all those excellent adventure games happened. Retro Gamer is an award-winning monthly magazine dedicated to classic games, with in-depth features from across gaming history. You can subscribe in print or digital no matter where you are by clicking this link. This month's cover features the Sega Mega Drive, or Genesis to US readers. Check out more on that here. Welcome to another Retro Gamer guest article on PC Gamer, where we publish PC-relevant pieces from the magazine's history. This was originally published as part of a tribute to LucasArts in issue 116 when the company shuttered in 2013. We'll post the rest of the piece next weekend, since it has lots of nice insights on both the Star Wars games and adventure games. Don't miss our 2015 article on the secret history of LucasArts, where we discuss unfinished games from the company's history. 1. Lucasfilm Games’ original headquarters, Skywalker Ranch, is located on Lucas Valley Road in Marin County, California. But the street name has nothing to do with George Lucas—it’s named after 19th Century rancher John Lucas, no relation to George. 2. Ballblazer, one of the studio’s first games, sold few copies on its original platform, the Atari 800. In the autumn of 1983, Lucasfilm gave an unprotected beta version to Atari’s marketing department with the working title Ballblaster. A pirated version was soon posted on online bulletin boards. Though it went on to do well on other platforms, the widespread Ballblaster beta is the version most Atari 800 owners played—including future hire Tim Schafer. 4. 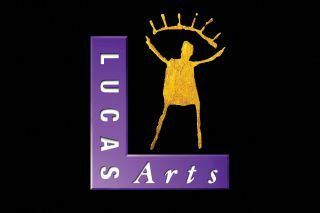 LucasArts and Pixar both started out as The Lucasfilm Computer Division, which had a game department (that would later became LucasArts) and a graphics department (that Steve Jobs bought and turned into Pixar). Tim Schafer still owns a sweatshirt with early Pixar characters André and Wally B on the front, and ‘The Lucasfilm Computer Division’ on the back. 5. Lucasfilm Games created the first-ever graphical MMO, Habitat. Released in the US in 1986 as a beta over QuantumLink (an online service for Commodore 64), Habitat was a large-scale community akin to Second Life that ran on 300 baud modems. Players could customise and control their avatars, interact via text chat, engage in quests, buy and sell goods, get married and divorced, and even kill one another—all in a virtual world that looked a bit like Maniac Mansion. 8. Though he went on to become a LucasArts icon, the ‘Gold Guy’ logo didn’t appear until 1991’s Monkey Island 2: LeChuck’s Revenge—the first game to ship under the LucasArts name. The boxy Gold Guy standing on a purple ‘L’ remained a staple until 2005, when he was revised into a shorter, curvier version.